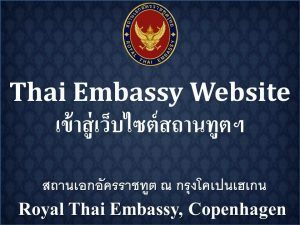 Vimon Kidchob, the current Ambassador of Thailand to Denmark, was born in 1957 in Bangkok, Thailand. After received her high school diploma from Chulalongkorn Demonstration School, Vimon spent one year as an exchange student (American Field Service (AFS) Programme) in the United States during 1975-1976. In 1977, she enrolled in the International Relations Programme at the Faculty of Political Sciences, Chulalongkorn University and achieved her Bachelor’s Degree in 1981. She afterwards pursued her postgraduate study in Political Science at University of Illinois and graduated in 1983. In February 1984, Vimon began her foreign service career at the Ministry of Foreign Affairs as an Attaché, and subsequently Third Secretary, in the Economic and Financial Policy Division, Office of the Director-General ASEAN-Thailand. In 1985, as Second Secretary, she moved on to work at the Protocol Division, Department of Protocol until 1986. In 1987, Vimon began her first experience serving overseas as a member of the Royal Thai Embassy to Belgium and Mission of Thailand to the European Union in Brussels. It was here where she was promoted as First Secretary. After finishing her mission in Belgium in 1991, she assumed her position in Thailand as a Counselor at the Science and Technology Division, Department of ASEAN Affairs. 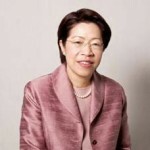 Due to her experience in economic issues, she was among a pioneer group of Thai diplomats recruited to work as a Minister Counselor at the Permanent Mission of Thailand to the World Trade Organization (WTO) in Geneva during 1995 – 1998. During 1999 – 2002, she was back at the capital and served as Director of Europe Division I, Department of European Affairs. Her duty focused on Thailand and the European Union relations, as well as other bilateral issues between Thailand and Western European countries. She was later appointed as Deputy Director-General at the Department of International Economic Affairs in 2003 and Director-General in 2004. 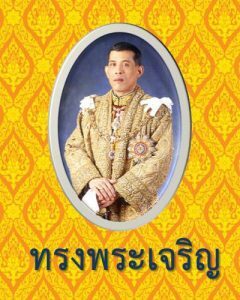 In 2006, by Royal Command, she was appointed as Ambassador Extraordinary and Plenipotentiary of the Kingdom of Thailand to the Republic of Chile and concurrently accredited to the Republic of Costa Rica and the Republic of El Salvador. She finished her ambassadorship and returned to Thailand in 2009 to take responsibility as Director-General of Information Department between July 2009 – November 2010, before assuming the post as Director-General of International Economic Affairs Department between December 2010 – September 2012. In October 2012, Vimon was posted in Copenhagen and started her work as Thai Ambassador to the Kingdom of Denmark, the Republic of Lithuania and the Republic of Iceland. Vimon has been granted a number of decorations. The most recent are the Knight Grand Cordon (Special Class) of the Most Exalted Order of the White Elephant in 2014, the Knight Grand Cordon (Special Class) of the Most Noble Order of the Crown of Thailand in 2010, the Knight Grand Commander (First Class) of the Most Exalted Order of the White Elephant in 2006 and the Knight Grand Cross (First Class) of the Most Noble Order of the Crown of Thailand in 2003.